Race Review: POSB PAssion Run for Kids 2017 [10KM] (by Rebekah Ong) | JustRunLah! 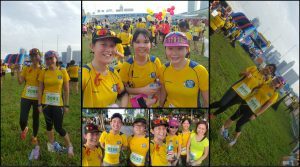 Today was my first time taking part in the POSB PAssion Run for Kids. This run event was jointly organised by the People’s Association (PA) and POSB and it was my second charity run of the year. The main aim of the event was to raise funds for children so that a difference could be made in their lives. 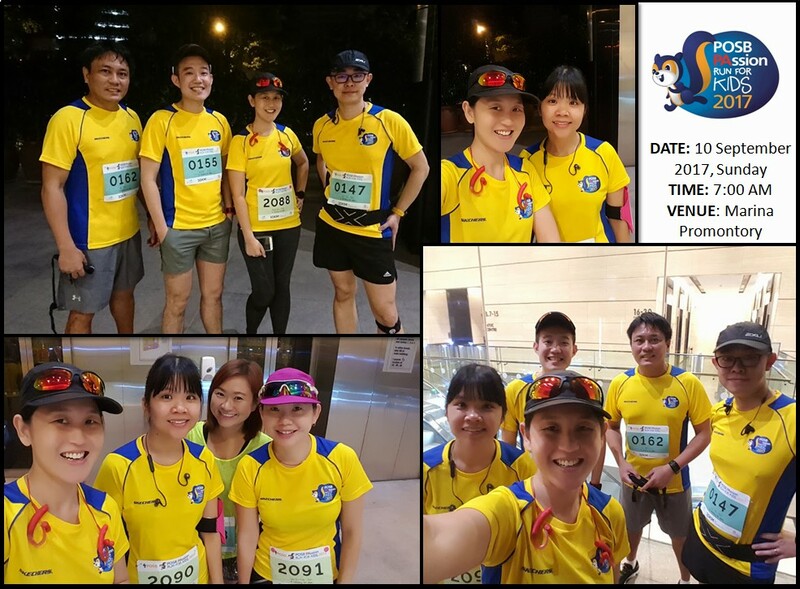 Funds raised from the event would go into the POSB PAssion Kids Fund managed under the People’s Association Community Development Fund (PACDF). The fund aims to support children (0-16 years old) in the community through events and programs with a sustainable impact on the development of the child(ren). Since the introduction of the Fund in 2012, more than 326,000 kids have benefitted through more than 81 enrichment programs at the various CCs & RCs. 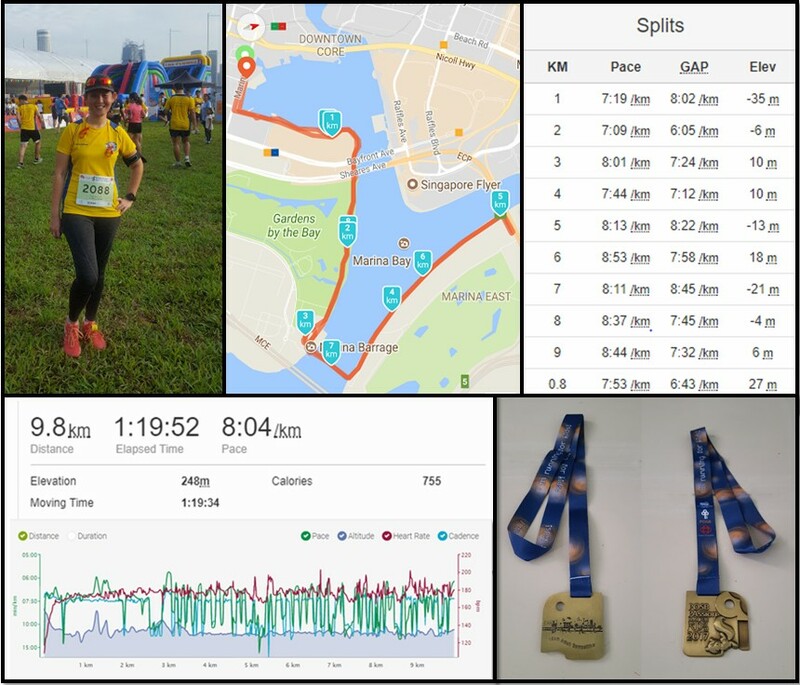 There were many categories for participants to choose from and I took part in the Adults – Competitive 10km Women’s Open category. Joining the run event with me that morning were my running buddies Cheng Yee and Jennifer. As the flag-off was at 06:30hrs, the three of us had decided to use the GRAB service to get to the race site. 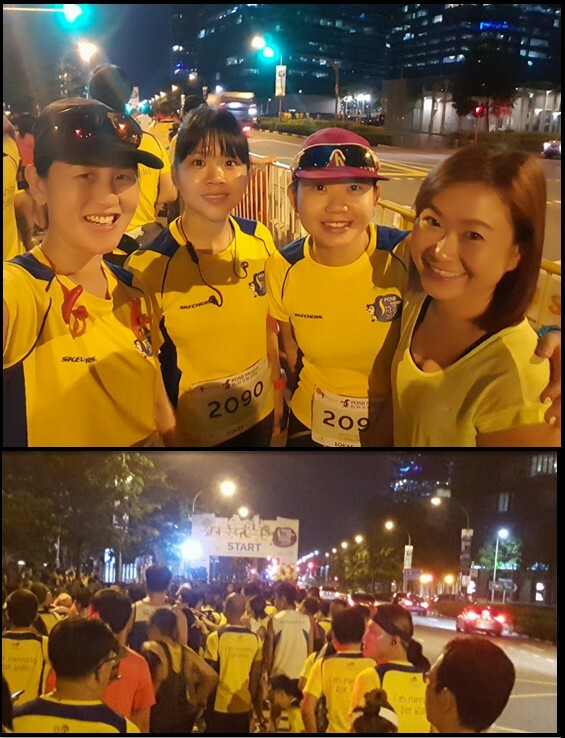 When we arrived, it was still pretty dark but we had time before the run was flagged-off. I decided to bring both my bag and my friends’ bags up to my office instead of using the bag deposit service, this would save us the trouble of queuing to collect it later. When I came back down, I met up with a few other friends who were running too and all of us headed into the START pen together. As I walked into the start pen, I was feeling a tad anxious because I was recovering from a bad throat infection and still had a lingering cough which hasn’t quite subsided. In addition to a cough, I haven’t been running for about 2 weeks as I had over-strained my lower back and knee. I have no idea how this run would be for me so I decided that I will go easy and not worry about timing. We were flagged-off promptly at 06:30hrs. The weather was still nice and cooling as the sun hasn’t risen yet. I reminded myself to take it easy and not push too hard. The first 2km was okay but when I hit the 3km, I had to slow down as I could feel the effects of being sick. This run was very much a jog and brisk walk for me. 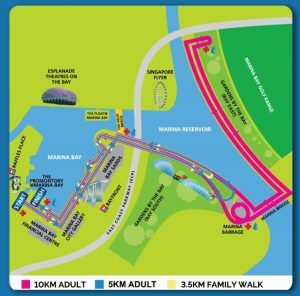 The route was the usual scenic running route which started from the Marina Promontory to the majestic Marina Bay Sands, leading straight to the beautiful Gardens by the Bay where you can see the F1 Pit Building on the other side ready for the upcoming F1 Singapore Grand Prix, after that heading straight up the dreaded Marina Barrage slope where participants will get to see the gorgeous skyline of Singapore before heading across the bridge to Gardens By the Bay East and lastly U-turning under the ECP flyover and back to the START point. The skies were really beautiful especially at sunrise as you can see the beautiful colours (too bad I didn’t take a photo). Distance markers were placed clearly and accurately along the route. Hydration stations were a plenty and well spaced averaging every 2.5km with both chilled isotonic drinks and water. I carried my water bottle with me but I still took the isotonic drinks as I needed the sugar for that extra boost to complete the race. 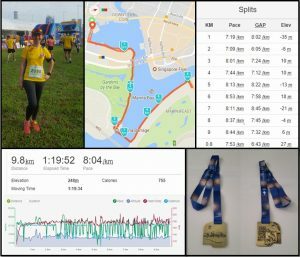 I completed the race in 1hr 19mins according to my Garmin. 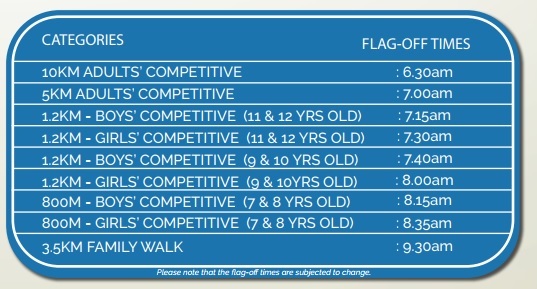 Official results will be posted 2 working days after the event. Though not my fastest run event, I’m actually happy that I completed the race. I was actually feeling the effects of the cough after crossing the line, I quickly went to collect my Finishers entitlements which included my medal, 1 bottle of isotonic drink and a bottle of water. The event site was bustling with activities. 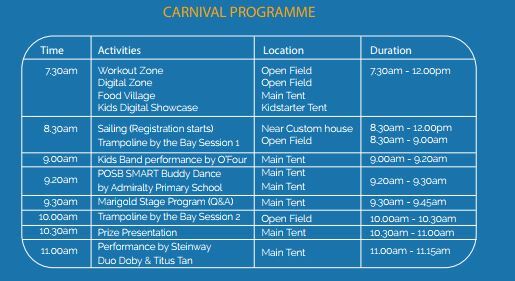 I was reading up on the activities that were available at the carnival site. 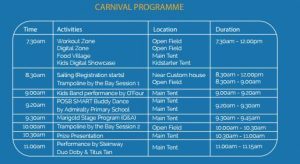 In conjunction with POSB’s 140th anniversary, some of the highlights included a mass outdoor Trampoline at the Promontory for both the young and old, a mega inflatable obstacle course where you could bounce your way through, a digital zone where you could immerse yourself in virtual & augmented reality experience, there are were many PA activity booths where you could try out some courses organised by PA etc. 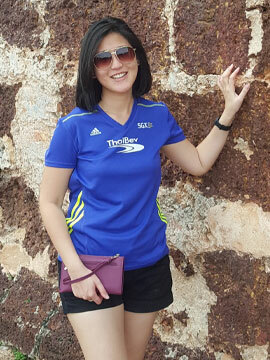 I didn’t get to try those activities as I was not feeling too well.Went to look for my friends at the race carnival site, my friend, Jennifer had pointed out to me though my cheeks were a bit flushed I did look a bit pale. We took some pictures before heading off for breakfast. My favourite item had to be the backpack because of its design and practicality. 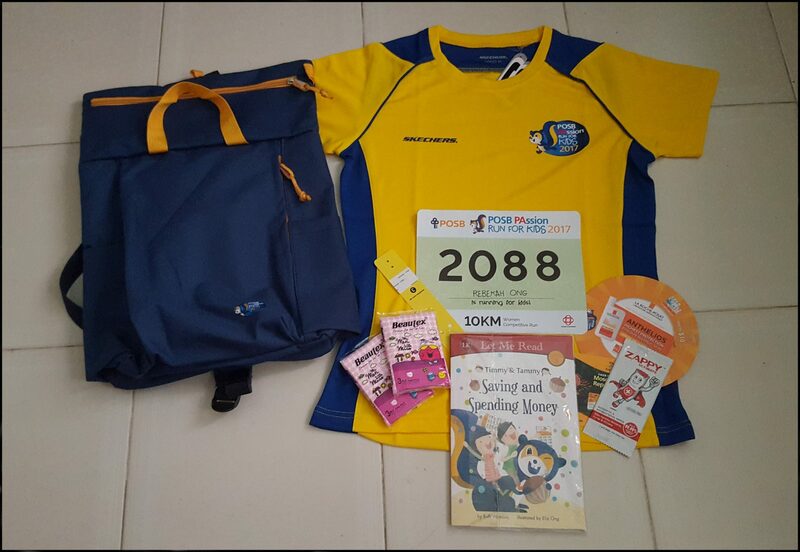 I would use this bag pack for my day to day outings as compared to the sling bag that other run events issue. 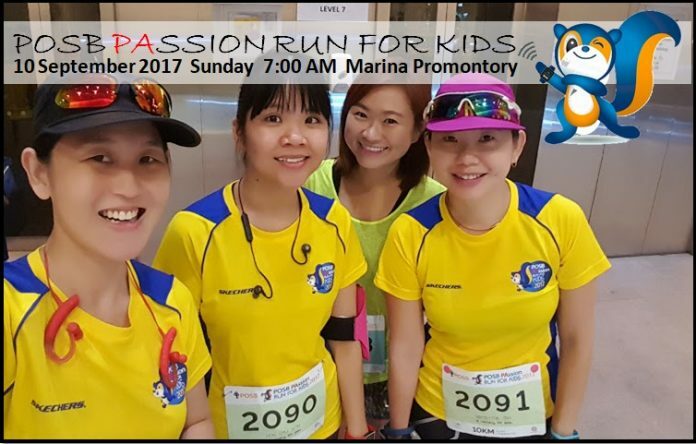 Overall, the 2017 POSB PAssion Run for Kids was a really well-organised run event! Though I was not feeling well, the experience today was still a good one! I showed up and did my part for charity! Hopefully, I recover in time for my next BIG run event which is the Sydney Running Festival! Till my next write-up, run happy and stay healthy! Congrats and well done! Looks really fun! Yes it was a fun and really well organised event! This is awesome. It should take place every year. It’s really fun.